According to the CDC almost half of Americans have taken at least one prescription drug in the past 30 days. Until recently, information wasn't readily available to consumers to compare the cost of prescription drugs from one pharmacy to another and to allow consumers to compare treatment options with various drugs, but those things have become much more transparent. Lisa Roy and Eugenia Perna joined us from UnitedHealthCare to discuss prescription drug pricing, safety and the tools available to help us manage both. Drug pricing is complicated and drug prices fluctuate like the price of gas. The same way gas may cost more on a heavily traveled holiday weekend the price of allergy medicines may be increased during allergy season. One factor in the pricing of drugs is ease of use. When drugs are going off patent, manufactures will create an extended release version or a combination drug to keep a patent. Azor is an example. It is a combination pill for blood pressure -- essentially two pills in one. You pay for the convenience of only needing to swallow one pill. Azore runs $280 per month. You could achieve the same effect by taking two generic pills. One at $24 per month and the other at $5 a month for a savings of $251 a month. Lipitor recently came off patent. In the first six months, the new generic, atorvastatin, had exclusivity. That typically means it's cheaper for consumers if they're only responsible for a copay; but three, four or maybe even five times more expensive than the brand during this time period. To make matters even more complicated Pfizer, the manufacturer of Lipitor, made a deal to provide rebates to insurers and pharmacy benefit managers (PBMs) to eliminate a lot of the cost advantage of atorvastatin. Just like many Facebook relationships, "it's complicated." Medical advances often come in terms of new drug treatments and new treatments are often costly. We talked about Sovaldi as an example. It is a new treatment for Hepatitis C. It costs about $1,000 per pill and more than $84,000 for a course of treatment. It represents a cure for a chronic and often fatal condition, so most employers are including it in their coverage, but the cost has an impact. Let's think safety first though. 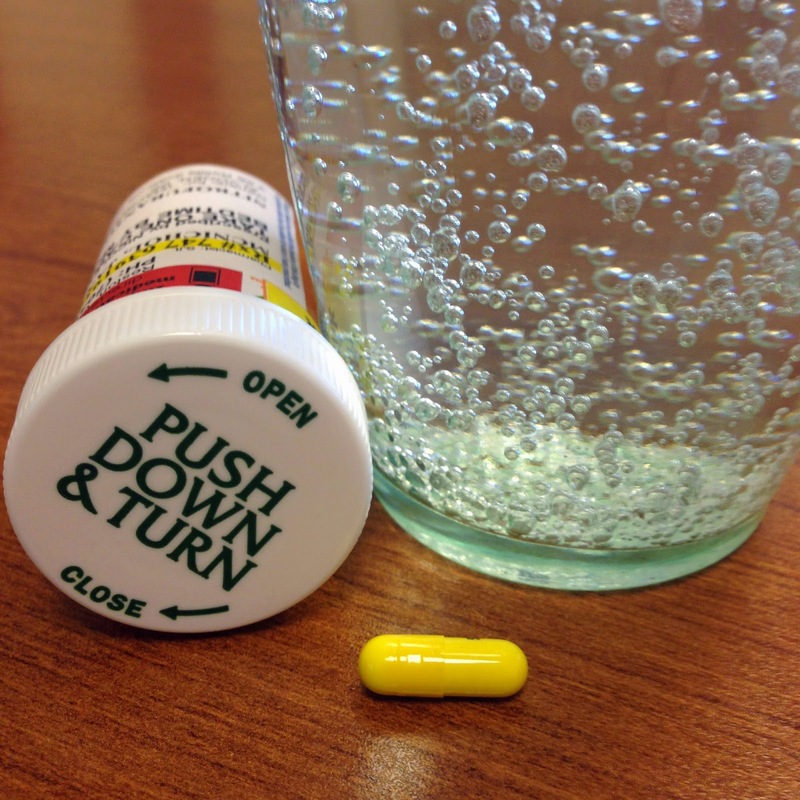 Mistakes are routinely made when dispensing medications. When you pick up a prescription, talk to the pharmacist or look up a picture of the medication to confirm you received what you expected. In the book, Where does it hurt? by Jonathan Bush, there is an example of a woman who had been fainting. It turned out that she had been prescribed twenty-seven different medicines by eleven different doctors, most of them specialists. Seven of these were for hypertension alone -- four of them were the exact some drug. This example is less surprising than it is appalling. Unfortunately, we can't trust the system to manage our health. Keep a record of all the medications and supplements you take and discuss possible interactions with your doctors and pharmacist. If you're insured with UnitedHealthCare, you have some good tools at your disposal. To use them, log into myuhc.com and select "manage my prescriptions." From there you can look up drug information which includes a picture of the pill and see what each drug will cost at a retail pharmacy and through mail order. You can see possible lower cost alternatives to a medication. You can even print out a report to show to your doctor to faciliate your discussion. See the flier below for more details. To save money, you may consider using a pharmacy that offers a generic discount program. Pharmacies like Target and Walmart often offer very low prices on a select list of generic drugs used to treat common conditions like diabetes, mental health, high blood pressure and infections. Their prices may be less than your copays and are likely to be less than what you would pay out-of-pocket with a high deductible plan. If you use one of these programs, the cost will not track toward your deductible though. If you're not in our health plan, Good RX is helpful for pricing medications. Costco, Walmart and Target are generally cheaper than pharmacies like CVS and Walgreens. You may be able to negotiate with a convenient pharmacy to match a price if you find a drug cheaper at another place nearby. Giant will typically do this. It certainly doesn't hurt to ask. And, since were in vacation season, if you're traveling and forget your meds, go to a pharmacy and request a vacation override. Show the pharmacist your card and he or she will call UHC to obtain the override for you. You might also be interested in this post -- 10 Health Care Tips for Travel.